I'm sure many of you have wondered how the designs on our favorite quilt fabrics end up on the fabric and in the quilt shops. I recently reached out to my friends sat QT Fabrics to see if I could chat with a few people about just that. We are starting with how fabric designs are chosen. Janet Anderson is the Design Director for QT Fabrics. She helps to decide what fabrics are available to our local quilt shops to purchase and for us to buy. 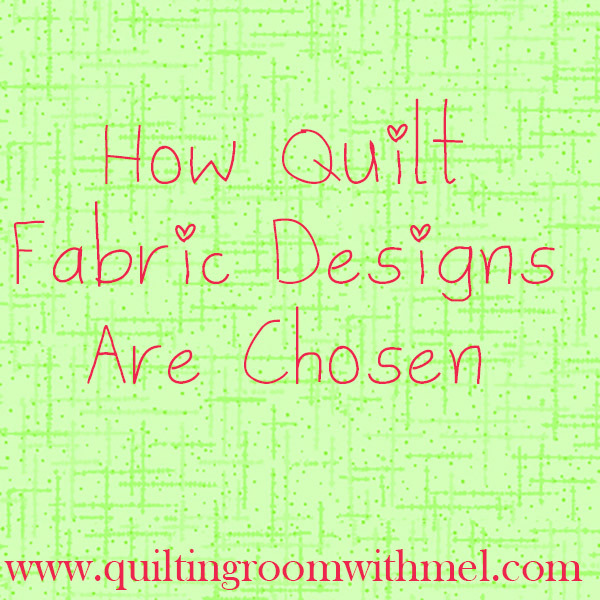 The process of choosing quilt fabric designs is much more involved than I had imagined. This post may contain affiliate links. Purchasing items from the links cost you nothing more and add a few pennies to the fabric budget. There will be two more posts in this series. Besides finding out how the fabric designs are chosen we'll learn how QT markets their fabrics and how those fabrics get from the warehouse to the quilt shop. I think a lot of times we don't really know much about the fabric that we use and how it ends up in our stash. I wanted to introduce you to Janet as a person, to begin with, as a child she wanted to be a fashion designer. As a teen, she took a class at Parsons one summer/ If you are a Project Runway fan you are well aware of Parsons. It is where Tim Gunn taught fashion design. Many of today's premier fashion designers attended there. That class is what lead her to major in textile design later on. The professor asked them to create a pattern for the fabric and she realized how much fun that was. "My siblings and I are all artistic. We inherited our ability from my mother. She was very creative, drawing, sewing, crafting, knitting, embroidery, etc. she loved all of it! We drew on everything we could get our hands. At an early age, I discovered I liked to draw people, figures and my love of fashion design developed. After discovering Textile Design as a teenager, I majored in that field at F.I.T. in New York City. My professor recommended me for an artist position with one of the apparel divisions of the company. The job was doing repeats, colorings and some original design work. Back in those days, before computers, everything was hand drawn; it was even before there were color copies! So everything, I mean everything was hand done and painted. At this apparel division, I learned about sauressigs (strike-offs) and how to make comments on them as well as color pitching, millwork, engraving and all the other fun stuff that is not design related. Eventually, I joined the Quilting division and I have found a home where all my skills come into play." Janet is not a quilter, she says she doesn't have the patience or the time to do it. She has been sewing since she was 14. I'll have to work on her to make a quilted bag or something that doesn't take a long time and maybe get the quilting to bite her. She did say that she might take it up in retirement. Janet certainly understands the art behind textile design. She doesn't design all the fabrics you find in your local quilt shop, though she does consider herself a designer first. There is a team of designers. 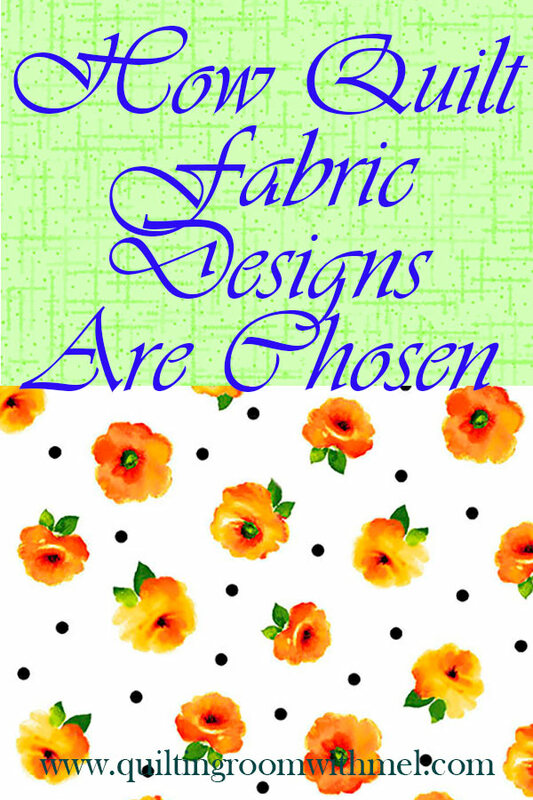 They have a group of in-house designers that design some of their fabrics. They also have licensed designers. Those are the ones that you see on the selvage of the fabric as "Mel Shields for QT Fabrics". QT looks for those designers at trade shows, agents and many times from recommendations. You won't be finding my name on the edge of fabrics anytime soon. While I can dye fabric, buy fabric, and even create with fabric I can't draw. I can't get what is in my head out on a piece of paper or even into Photoshop. I knew I should have taken those drawing classes. Once those designers have artwork a committee reviews it. Each collection will have a certain theme that QT always carries like juvenile, novelty, infant, etc. They do keep an eye on trends in apparel and home decor. Since trends come and go quickly they look for trends that will have a longer shelf life. They release between 25 and 40 lines of fabric each year, with seasonal being the largest. The key for them is to remain flexible, with the number of lines and the designs themselves. Which I think is a key for all of us in quilting. We need to be flexible with what we use, I try not to be too trendy but I also don't want my hard work to look dated when I am done. I know I'm not the only one who has fallen in love with a fabric to watch it disappear off the shelf. I had to know how they decide when it's time to retire a line. I really figured that there was a timeline, like a year, and a line was retired. I was wrong! They have a sales point and when the collection drops below that number they retire the line. The exception to that is if there is a program behind it like a block of the month. So, there's your excuse to buy more of that favorite fabric, you want to keep the sales numbers up so it's always there. Never miss a post from The Quilting Room sign up now to get new posts delivered to your inbox each morning! You can also find me on Facebook, Facebook Group, Twitter, G+, YouTube, Instagram, Craftsy, and Amazon.